Mid Back Ergonomic Computer Chair by Office Star  -Free Shipping! This mid back computer chair from Office Star offers several ergonomic features that will help to properly support your body while giving you more comfort during the work day. Heavy duty titanium finish base with dual wheel carpet casters. 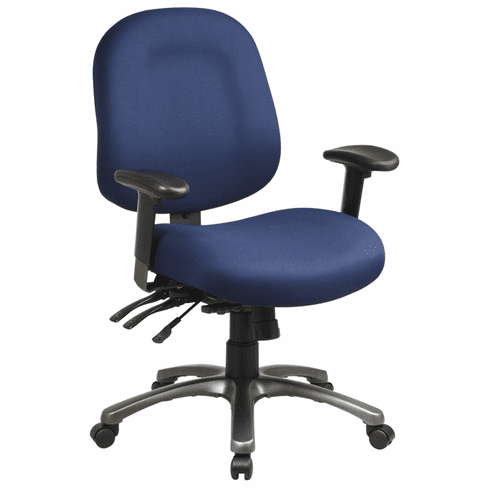 These mid back ergonomic computer chairs normally ship within 7-8 business days from our CA warehouse.